Most of the people living in current times and modern societies suffer from an excess of Candida. Like bacteria, we all have fungi cohabiting within us. It’s important for people who are chronically ill to rule out overgrowth of Candida. Yeast is a fungus that grows as a single cell whereas Mold is a fungus that grows in multicellular filaments called hyphae. Candida is a genus of yeasts. There are nearly 20 different strains with different qualities peculiar to each species that are currently known to us. 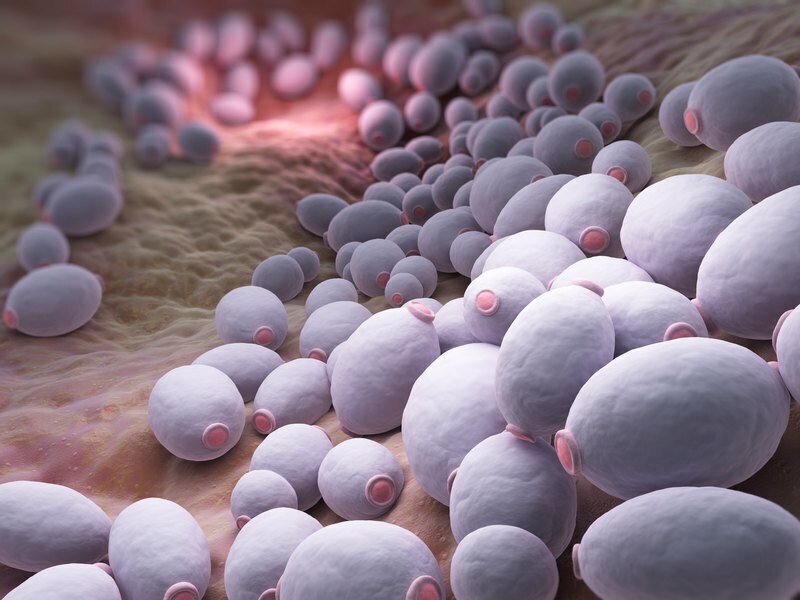 Candida is the most common cause of fungal infections worldwide. Many different species of Candida are found in our gut flora, most commonly the C. albicans. A protocol that addresses Candida properly, addresses all fungal overgrowth. anything that depletes the immune system for a long enough period of time will lead to Candida overgrowth. Why is candida overgrowth scary? Candida is a fungus that mutates and develops resistance towards treatment. Candida gets access into the bloodstream and colonizes in the sinus cavities ( causing chronic sinusitis), other glands, and other organs in the body, including the skin and the brain. Candida binds to certain hormones, altering their shape so they’re no longer able to fit into their receptors ( leads to severe hormone imbalances). Candida creates a biofilm around itself. This biofilm allows Candida to grow while protecting it from the immune system. In other words, Candida uses its biofilm to suppress or activate the immune response of the host to adjust its environment. Candida needs alkalinity to survive. When it finds itself in an environment that is too acidic, like gastrointestinal tract, Candida will release ammonia to lower the PH of the environment. An overgrowth of Candida causes anxiety, depression, ADHD, and multiple other mental health disorders. This is because candida releases toxins that can impair neurotransmitter production and neurotransmitter function a disrupt brain functioning. moods, thoughts, feelings, and reactions to the environment can be profoundly influenced by Candida. Yeast survives on sugar. If oxygen is low or non-existent, yeast will produce carbon dioxide and ethanol, also known as alcohol. Alcohol levels can be so high in the body that the individual may actually be drunk, and experience a hangover after sugar is used up! These Include uric acid and acetaldehyde. Excessive uric acid can lead to kidney stones, gout, and metabolic acidosis. Candida loves an alkaline environment, it can cause the body to be extremely acidic in the blood and all over the body outside the Candida biofilm. The carbon dioxide that yeast produces can damage the nervous system and the cardiovascular system. Acetaldehyde is a neurotoxin that affects brain, nervous system and every other internal organ. It damages red blood cells which cause reduced capacity of blood to carry oxygen. Acetaldehyde combines with two key neurotransmitters in the brain, serotonin, and dopamine. Together they form tetrahydro-isoquinolines, which closely resemble opiates in structure and function. Tetrahydro-isoquinolines cause an opiate-like high. This is one of the causes of sugar addiction that occurs with Candida overgrowth, and the tetrahydro-isoquinolines also fuel addiction to alcohol and other drugs and addictive behaviors.